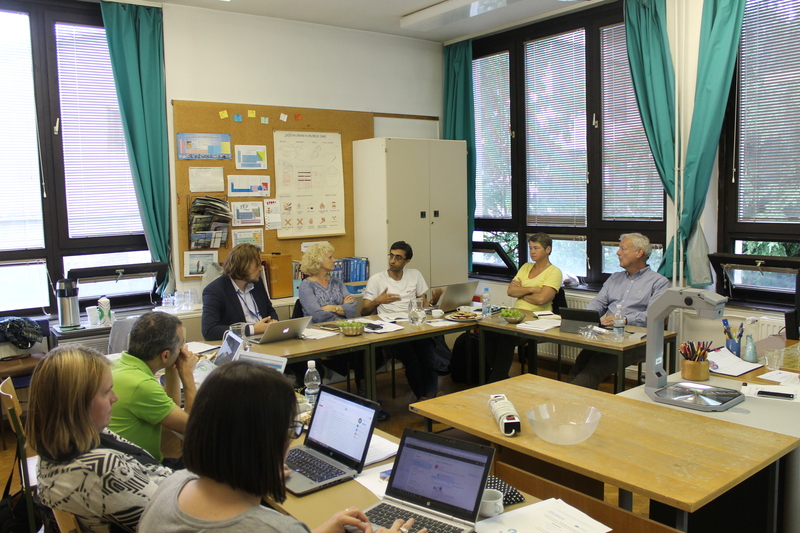 The final meeting of the Strategies for Inclusion team in Ljubljana, Slovenia. The Strategies for Inclusion project has reached its final phase with just a few months left. The partners met for the final time in Slovenia, embedded in the final training seminar of the project. In this meeting the final steps in the project were discussed, both in terms of content and in terms of the management. An event report can be found here. The Special Interest Group members also gathered for the last time in the project during the final training seminar in Metlika. In a reflective session the SIG members expressed the project has widened their own perspective on inclusive education, and that is exactly what this project is about. They also expressed a commitment to continue work on this issue. We will explore the possibilities for additional (online) trainings with the resources developed. This included the finalisation of the educational resources developed in the project. These formed the basis of national workshops and the workshops in the final training in Slovenia, and will be offered on Historiana after summer. These are concrete history or citizenship lessons, with an inclusive approach and with specific tips on how to make certain elements of the lesson more inclusive, depending on the type of students you have. Some of these resources will also become available in the project languages (Armenian, Dutch, Norwegian, Slovenian and Portuguese). Additionally, the work on collecting concrete practices of history and/or citizenship teaching methods, lessons or educational initiatives that have an inclusive approach continues. You can find blogposts with these methods on our website here, with regular publications of new posts of other practices we collected in the project.